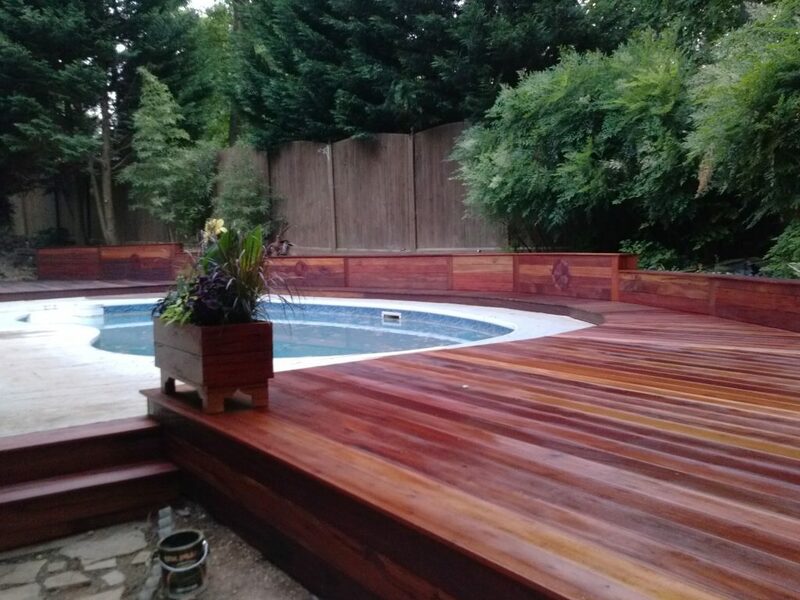 Freshly oiled Purpleheart decking and retaining wall. With the landing wrapping around the pool and the retaining wall this job took us all weekend. The builder put an amazing level of attention to detail, hope that our finish does this deck justice.